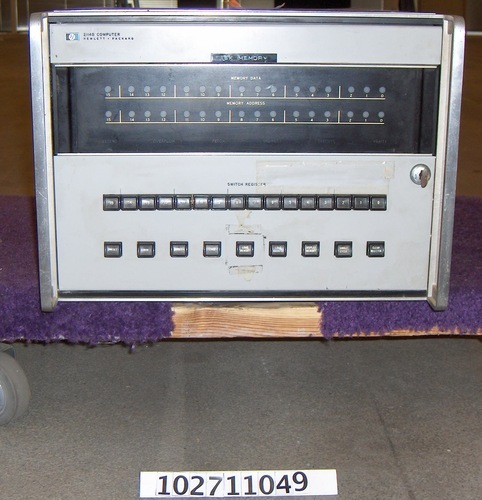 The object consists of a HP2114B 16 bit minicomputer. There is a key in the machine. There is a label on the front that reads "16K Memory". There is a loose label that reads "2116 Family Software". A label on the back reads "Lab proto 2".